InspireRings - Bracelets with timeless style and an InspireRing message! * Cuff bracelet, die cast zinc with nickel finish on unique custom shape. 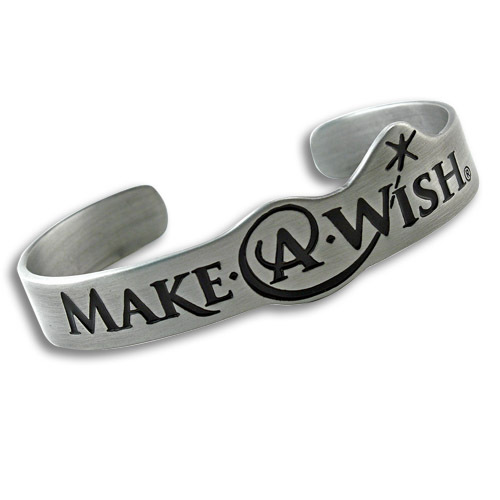 * Custom text and full logo reproduction in one soft enamel color. Free PMS color match. * Gold and antique silver finishes available.